Goals are they worth it? I know, I know – we have all heard way too much about goals. Seems like the beginning of the year, goal setting is all anyone talks about. What are your new year’s resolutions? How much weight are you planning on loosing? I’m going to visit Ireland for three months, where you going? We’ve all heard them over and over again; from good meaning friends wanting to team up for an exercise class, to children thinking that Disney Land should be on our list of places to go this year. But what about making resolutions for our businesses – should we make goals, projections or even budgets; and now that we’re already a month into the new year, is it too late? Well first off, it’s never too late to plan. But just what should we plan for, and why should we plan in the first place? Let’s tackle the second question first – why should we plan? Often, at this time of the year, I hear my clients come up with this grand idea of doubling or even tripling their income in the year (I myself have also made this “goal” for my own business – just ask my business coach) and in some cases they actually do it. What they don’t plan for however, is the time and energy it will take away from “life” – their family and all the other important things they need to take care of. As I have grown older, I’ve come to a different idea of planning: instead of planning for how much money, success or even number of clients I want to work with, I’ve begun thinking of planning in the terms of time. Over the last year, working with my business coach, I began tracking my time in 15-minute increments for the entire year. 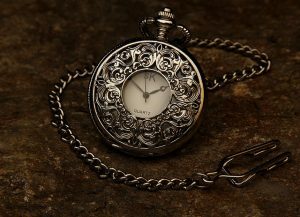 What I discovered is, time was more important than anything else. So, this year instead of planning money, I planned time. How much time did I want to spend with my family, how much time did I want to devote to my health, and even how much time did I want to spend writing this blog? This study told me how much time I had left to devote to my clients, and from there, I was able to determine the number of clients that I really wanted to work with this year. This time planning actually led me to evaluate my client list and even drop a few clients who weren’t my target market (which was a resolution I had always struggled with), and who were keeping me from working with the clients I do love working with. If you’re honest with yourself, I’d venture to guess that time was one of the reasons you got into business for yourself in the first place. So, make it your primary goal. Which brings us back to my first question, what should we plan for? I already challenged you to plan your time first, but don’t ignore the normal business goals like income projections and budgets. Without those you may have all the time in the world, but no way to take advantage of the time you have. You need to know where you have been, in order to know where you want to go. Planning will give you a jumping off point to do your projections and budgets. Projections and budgeting are more than just number crunching, they are a creative art form. Don’t aim for pie in the sky, but you don’t want to come up short either. Projections can be used not only for money but also for inventory – how many of one product do you need on hand, what would happen if you paired two products together? Is this product a dud that never sells? Will keeping or liquidating that one help or hurt your bottom line? What is your bottom line anyway, and will that support you or do you need to supplement your business with new products? The questions can seem endless and that is why some people never really plan. But if you take the time to really plan for the year, you will be ahead in the long run. If you need help, we are here to help you whenever you need it. I’m going to warn you though we normally do this kind of projections during the summer. Why? Because that is when we have the time, unless you want to take me to Ireland – or Disney Land this summer. This entry was posted in Business and tagged budget, business plan, coaching, goals. Bookmark the permalink.